Cellulite is the bane of existence for most women, whether they are in shape or not. A startling 90% of women show some signs of cellulite on their thighs and backside during their lives. There are a bevy of over-the-counter cellulite products and none do anything but temporarily mask the outer appearance of cellulite. That’s because they don’t address the real cause of cellulite — connective tissue. But there’s a new treatment for cellulite that actually attacks its causes. That system is called Cellulaze and Dr. Aydin now offers it in his practice. 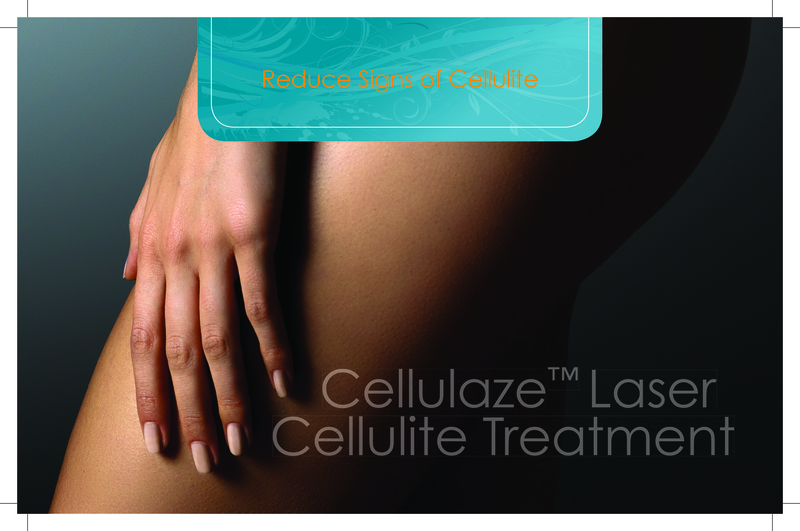 Cellulaze is a laser system that attacks the structure of cellulite for clinically proven, long-lasting results. Many women believe cellulite is a fat problem that can be eliminated through diet and exercise. Truth is, you can lessen the appearance of cellulite somewhat by decreasing the fat cells under your skin, but you can’t get rid of it completely no matter how slim you become. That’s because fat isn’t the problem, the structural makeup of women’s skin is the cause. Women have connective tissue bands under their skin that are like vertical bars, trapping pockets of fat between them. The fat trapped by these tight bands pushes upward against the skin, creating lumps on the surface, next to depressions where the connective tissue is separating the fat beneath. Yes, it’s the orange peel look of cellulite. And it only gets worse as we age and our skin thins. This is the explanation of why skinny people can have cellulite, while heavy people may not. And men? Less than 10% have cellulite because, unlike the vertical connective tissue under women’s skin, men’s connective tissue is in an X pattern. For women, genetics plays a big role — if your mom had cellulite, you have cellulite. Hormones, aging, and weight also play a part. The Cellulaze system utilizes a laser to take on cellulite. In the procedure, Dr. Aydin first marks the cellulite areas to be treated. Then he applies local anesthesia to numb the area (you’ll be awake during the procedure). Next, he makes a couple tiny incisions that are about the size of the tip of a pen. Through these incisions the Cellulaze laser fiber, threaded through a thin cannula, is inserted. 1. It melts some of the fat in the herniated pockets. 2. It cuts the fibrous bands that are creating pockets and forcing the fat upward. 3. The laser energy causes stimulation of collagen and elastin production, making the skin thicker and giving it more elasticity. The entire procedure takes from one to 1.5 hours. Patients have some bruising and discomfort. Dr. Aydin will have you wear a compression garment for a couple weeks following your procedure. In a day or two you can return to your normal activities, returning to strenuous exercise in one to two weeks. The release of the connective tissue bands creates instant results, and your results continue to improve for up to a year, as the liquefied fat is passed from the body and the body builds up its collagen and elastin. Cellulaze has been thoroughly tested to ensure its safety. Studies have shown that a single Cellulaze treatment improves the appearance of cellulite for one year and beyond. Skin thickness increased by 25% and elasticity by 29% even after one year. Overall, 93% of patients surveyed were satisfied or very satisfied with their results and would recommend Cellulaze to a friend.